Hannah Pelz was born in 1853 in Posen, a Polish area annexed by Prussia. 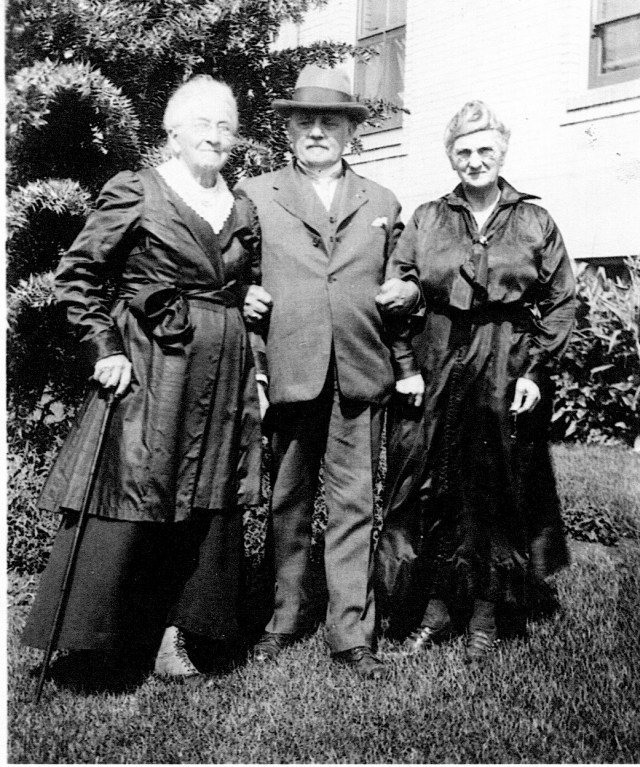 In 1868, Hannah Pelz journeyed to America, at the age of 15, where she lived with her sister and brother-in-law, Cecilia and Morris Cohen, in San Francisco, California. In 1876, Hannah became the caregiver for her sister’s three children, who were now orphans. For the next four years, she ran the household for her and her husband, their daughter, her sister’s daughters, and her husband’s brother/business partner. In 1880, Hannah’s husband, Louis Schwartz, died. Hannah and the children moved to 322 Eddy Street. 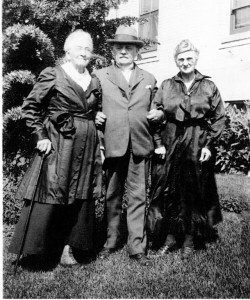 In 1892, while visiting family members in Seattle, Washington, Hannah’s daughter, Celia, died at age 13. After the funeral in San Francisco, Hannah Pelz Schwartz moved to Seattle to be close to her family, particularly her sister’s daughters, who had since moved north. In 1900, Hannah worked as a lodging housekeeper on Sixth Street, in the same home where she lived in Seattle. In 1906, after the San Francisco Earthquake-Fire, Hannah returned to California. In San Francisco, she worked with immigrant families. In 1908, Hannah Pelz Schwartz returned to Seattle at the request of the National Council of Jewish Women. The organization had selected her to be the “resident worker” of its Settlement House, located on 17th Avenue and Main Street. The Settlement House in Seattle held classes in sewing, moral training, and Americanization for new immigrants. Hannah was called the “Beloved House Mother” of the Settlement House. In 1916, the Settlement House moved to a larger, three-story facility, which included classroom space, a library, a ballroom, and a club room. The colonial building was made of red brick, with a marble entrance, and was located on the southeast corner of 18th and South Main. The architect, B. Marcus Priteca, also designed other noteworthy Seattle buildings, such as Sephardic Bikur Holim and Temple De Hirsch, as well as a number Pantages Theaters in the Midwest, West Coast, and Canada. 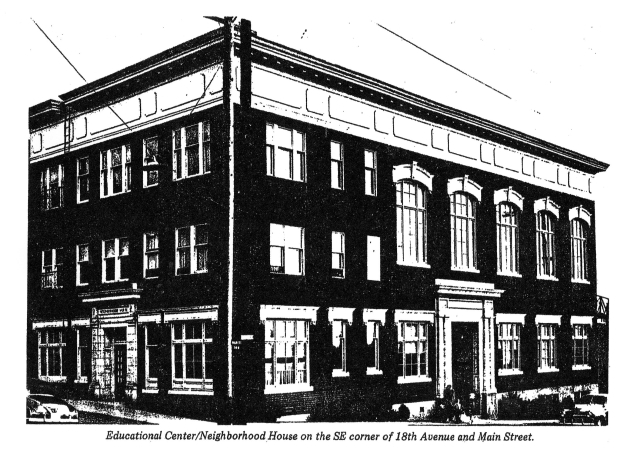 In 1917, the Settlement House changed its name to the Educational Center. In 1921, Hannah Pelz Schwartz helped institute a “nutrition clinic,” serving breakfast and dinner to mothers and children, as well as teaching them how to prepare American foods and determine portion size. In 1923, Hannah retired from her work at the Settlement House. She moved to the Altenheim, a residential care facility, located at 1720 MacArthur Boulevard in Oakland, California. In the mid-1870s, Hannah Pelz married Louis Schwartz. They had one daughter, Celia (1879-1892). Hannah Pelz Schwartz died in 1936. She is buried at the Hills of Eternity Cemetery in Colma, California, alongside her husband, daughter, and other members of the Pelz and Schwartz families. After her passing, the Seattle section of the National Council of Jewish Women dedicated a Memorial Fund in honor of Hannah Pelz Schwartz’s service to the community. The Settlement House, called the Neighborhood House since 1948, continues to serve the needy in Seattle. Catherine Gordon, “Hannah Pelz Schwartz and the Settlement House, Seattle, Washington,” Western States Jewish History 44/1. J. P. Devine, From the Settlement House to Neighborhood House: 1906-1976 (Seattle: The Neighborhood House, 1976). Samantha Silver is curator for this Hannah Pelz Schwartz exhibit.